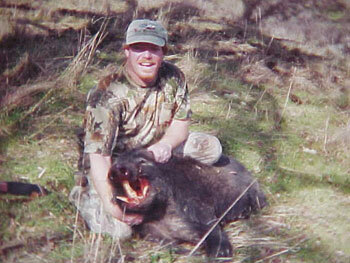 This is a 200-pound boar I took on private land near Lake Sonoma, California. I also put in for the Lake Sonoma Hog Hunt Drawing  thanks to the information you provided  and was picked to hunt on February 14th. My wife was not thrilled about me hunting on Valentine's Day but she knew I would make it up to her.